Aalborg – art, vikings, beer and friends. 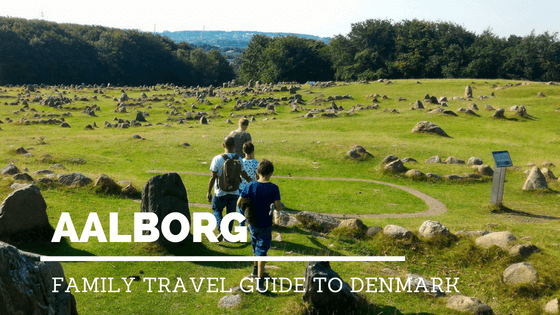 We visited Aalborg, on the 4th day and 5th day of our stay in Denmark. We took the train from Aarhus and the journey took us about 1 hour. Aalborg is a developed, industrial and lively city by the sea. Among its many attractions, you’ll find an outstanding collection of urban art. When walking through the city streets, we could hear the clinking of beer mugs on the terraces and see people with white foam mustaches turning into smiles. There’s a young and vibrant atmosphere in the air. Bicycles are always present and cool shops too. As in Aarhus, summer is the time to enjoy life outdoors, to attend concerts in the city squares, to relax and feel the blessed sun. We enjoyed the ambience and beers too! One of the breweries, we visited was called Sogaards Bryghus. It is located in a cozy square called ‘C. W. Obels Plads’. The restautant and pub are on the top floor, the brewery is in the basement. “Missing Bell Brewpub” is the name of this pub serving homemade beers which flow from 24 taps. The pub has furniture from an old church in northern England. The only thing that is missing is the bell, hence the name “Missing Bell Brewpub”. This brewery was part of the “Aalborg Beerwalk” a route by the best pubs in town, where you can taste 6 beers from 9 different bars for 125 DKK (16€). This was just a sample of the different beers you can taste in this brewery. We had dinner there. A 3 course meal costs 358 DKK (48 €). Food was really good and the atmosphere was great. We also enjoyed playing “cluedo” while waiting for the food to be served. The city is full of art, not only in the streets but also in the Museum of Modern Art – Kunsten. I fell in love with this museum. The building was designed by renowned architects like Elissa, Alvar Aalto and Jean-Jacques Baruel and the garden had a walk through water fountain. We had lunch in the outdoor terrace of the Museum’s Café Aalto and we loved it. They serve a delicious brunch at only 135 DKK (18€), and lunch dishes start at reasonable prices like 95 DKK (12€). The museum has plenty of natural light transmitted through skylights plus beautiful lamps. All the color of the paintings in contrast with the surrounding white marble gives you a ‘feel good’ vibe. Each room is unique. I loved walking barefoot in the art installation of Ernesto Neto. The flooring was as soft as velvet. To go through the long tunnels made of colorful, giant, string networks, while listening to the sounds of the drums is an experience I will never forget. The kids loved it, of course. They could freely explore the area, barefoot as if they were home. I think if I lived in Aalborg, this would be one of my favourite spots. The museum organizes several workshops for families. They even have an area where paintings are displayed on the walls, in a lower level, so that children can observe and interact and play with art, through colorful magnifying glasses. Admission fee for Adults: 95 DK (12€). Children under 18 go FREE! Aalborg is also known for the Utzon Center, located by the seafront and highlighting the beautiful cruise ships that visit this city. These buildings have shining roofs shaped as vessels and it represents the spirit, the architecture and design work of Jørn Utzon. Admission: 16 DK (8€) Children under 18 go FREE. By the sea there’s a long promenade where you can watch locals dive into the sea. The museum has amazing 3D reconstructions and animations. It shows how the Vikings used to live, which animals they had, how they decorated their homes and what were their beliefs. Anyone can disguise as a Viking and feel the weight of their armor. Fun and interesting. We stayed in the Cabinn Hotel. This is a simple hotel with family rooms with bunk beds. The location is superb, right in the heart of the city overlooking the Utzon Center. For breakfast you can have waffles! If you want a luxury hotel option, I’ve been told that the First hotel Aalborg is also a good choice. We rented a car with Europcar, to begin our ‘road trip’ towards Skagen – the northernmost point of Denmark. I would like to thank visitAalborg and visitDenmark for all the support in this trip. TAK! 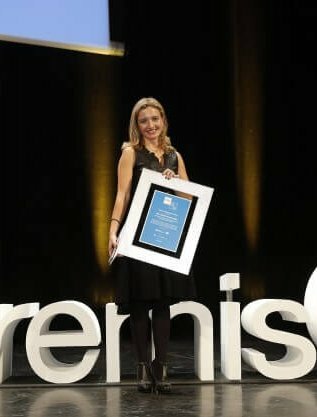 Muito bom o artigo ( como é hábito ) … Aguardamos os próximos !! !